Ground has been broken, dirt is moving, and precast panels have arrived at Ashley Capital’s new Liberty Park Commerce Center in Sterling Heights, Michigan. Work is underway at the new development, located at 33650 Mound Road, just north of 14 mile and down the road from Mound Business Center in the neighboring city of Warren. The property will offer 100,000 – 569,380 SF available for lease, with up to 140,000 SF build-to-suit office space. 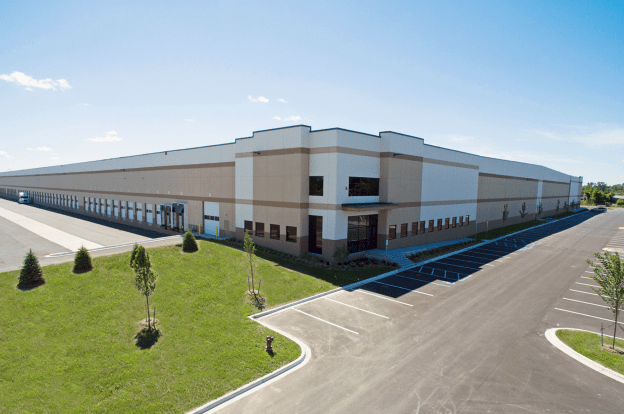 Situated on 67 acres, Liberty Park Commerce Center is zoned industrial and will feature 32’ clear height, six 13’x14’ grade level doors, 106 truckwells, 50’x52’ Bays, and 750 parking spaces. Sterling Heights is one of Detroit’s core suburbs and Mound Road is an important north-south thoroughfare with nearby access to major highways including I-696, M59, I-75, and I-94. With this new development, Ashley Capital adds to their economic boost of the Sterling Heights community.